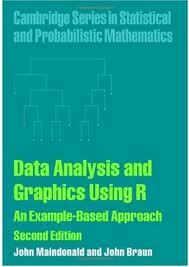 This book guides users through the practical, powerful tools that the R system provides. The emphasis is on hands-on analysis, graphical display, and interpretation of data. The many worked examples, from real-world research, are accompanied by commentary on what is done and why. The companion website has code and datasets, allowing readers to reproduce all analyses, along with solutions to selected exercises and updates. Assuming basic statistical knowledge and some experience with data analysis (but not R), the book is ideal for research scientists, final-year undergraduate or graduate-level students of applied statistics, and practicing statisticians. It is both for learning and for reference.